Ever wonder what animals actually eat? You can find out at Roger Williams Park Zoo. Whether you are feeding harbor seals Action and Bubba their lunch, the Masai giraffe a morning or afternoon snack, or the farmyard animals some tasty grains — these up-close encounters will give adults and children an appreciation of the joy of interacting with animals of many kinds. Head to the Alex and Ani Farmyard where you&apos;ll find a variety of farmyard animals waiting to greet guests. 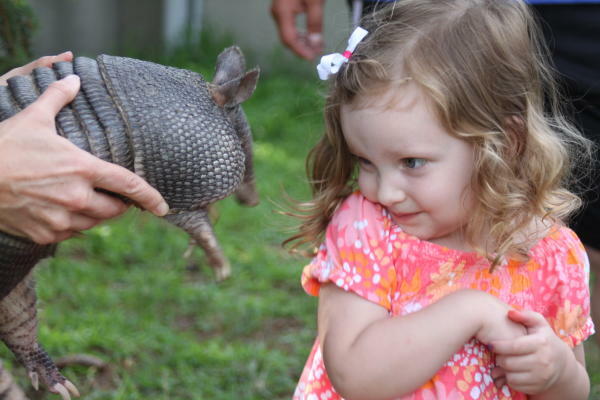 Journey to the Marco Polo Trail to meet and interact with a couple of nine-banded armadillos. 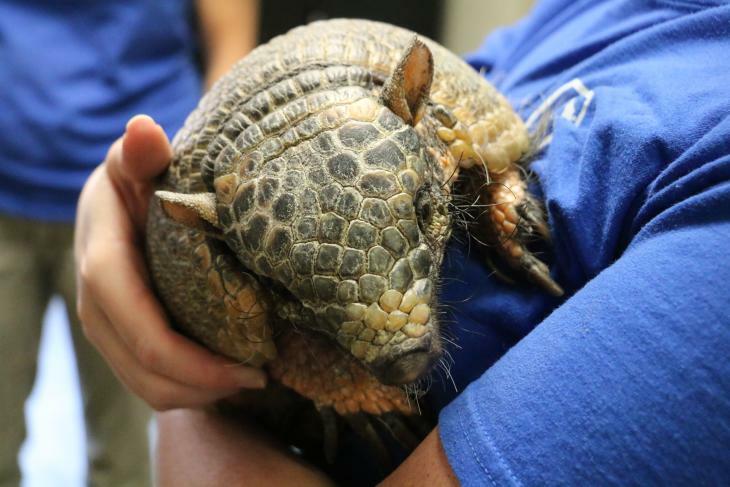 New this year, and under the supervision of wild bunch staff, guests may watch the armadillos walk around, touch their natural armor, and learn about these fascinating creatures. 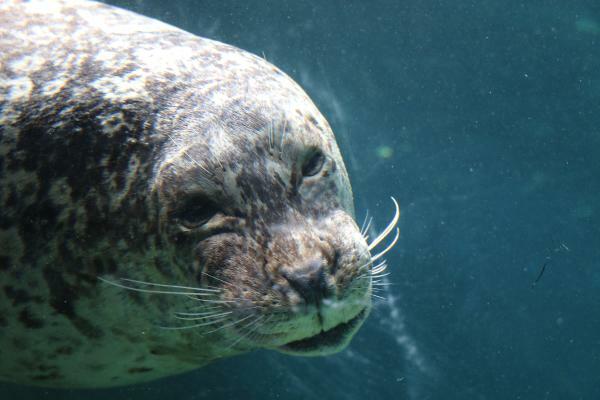 Seal Encounters include a behind-the-scenes look at the harbor seal area. Now through Sept. 2, seal feedings are Thursday, Saturday and Sunday. From Sept. 8–30, seal feedings will take place on Saturdays and Sundays. All feedings are at 2 p.m. and cost $25 per participant for non-members and $20 per participant for zoo members. Preregistration is required. 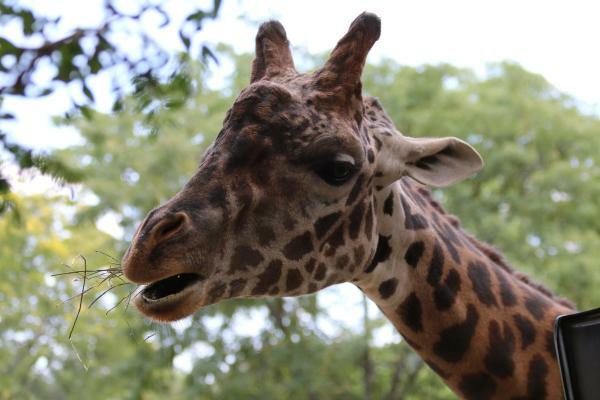 Giraffe Feedings run through June 15 and are held daily at 11:30 a.m. From June 16 through Labor Day (Sept. 3) guests may feed the giraffes daily at 11:30 a.m. and 2:30 p.m. After Labor Day and throughout September, giraffe feedings are on the weekends only at 11:30 a.m. and 2:30 p.m. The cost is $5 per participant for non-members and $4 for zoo members. Tickets are available for purchase at the site of the giraffe feedings in the Fabric of Africa and sold on a first-come, first-served basis. No advanced registration is needed. There are no giraffe or seal feedings on June 30 or August 25. Questions are encouraged! So, don’t just come and visit Roger Williams Park Zoo, have an adventure while learning about interesting, endangered and engaging animals. Don&apos;t miss Food Truck Fridays at Carousel Village every Friday through the summer months. Plan a family getaway in the city with your family, dine out and enjoy all the activities the zoo has to offer. Follow Blog Providence to stay up to date with what&apos;s happening in and around the city.